Special Celestial magic that is closely tied to the Gardens of Eden. Just like regular Celestial spirit summoning, special keys and contracts with the summoned creatures must exist for the mage to use this magic. Once the mage obtains a special key and summons the spirit that is tied to it for the very first time, a special bond can be formed that will allow the mage to summon said spirit during battle or in any other situation. Summoning can take place only if the mage is holding an appropriate key and has enough magic to keep the Celestial spirit in the world where they currently are. Unlike many other summoning magic, strong Celestial spirits are capable of denying the mage’s commands and sometimes even forcing their own gates open or shut. Eden’s Celestium is not very different from this pure form of Celestial summoning magic. However, instead of using common stellar keys, this magic uses special keys formed from the wood of trees that grow in the Gardens of Eden. With that, every single key is completely unique to the mage and cannot be obtained or found by anyone else. It also means that all summoned spirits are inhabitants of the Garden itself, usually completely human in appearance and mind. Summoning of creatures, be it Celestial spirits or familiars, often requires a great deal of power to keep these beings in the world of Earthland. A great strain is placed on the summoner and as such, many different restrictions come with control over such magic. However, the smarter and more intuitive mages started trying to combat these negative effects and overcome them. One of the best examples of this is the so-called Star Dress. A power that allows one to assume the power of their spirit instead of directly summoning them. An ability that Leila herself learned to use with Eden's Celestium. it was Aurora who created this world and all spirits within it. She created them in her image and from her own power. Once Aurora's soul was split into two pieces, Leila came to be as well. At the very core of all this, all Eden's spirits were originally part of one whole. And with the Garden's ascension, Leila now can bring about that origin temporarily. This gives her a new option - instead of summoning a spirit directly, she can summon them into an Origin state. 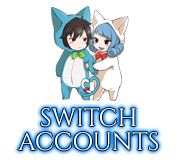 When summoned like this, the spirit and summoner will become one, and thus Leila shall gain all abilities of the spirit for her own use, the spirit's damage will be placed on top of Leila's own as a bonus and the spirit's health shall become a disposable shield protecting Leila. Not many summoners can have the experience that their very own spirits are having when they are being brought forth by their master. However, Leila is a bit of an exception to that. As a spirit herself, the girl is, in fact, capable of summoning herself by using a key of her own. Naturally, this does not actually function as a regular spirit summoning, else there would be very little point in actually doing so. Instead, opening her own gate allows Leila to take on a new set of celestial powers. When the gate of Eden's Heritage is open and Leila is the holder of her own key, a transformation similar to that of a Star Dress will take place. This leaves the girl with a set of new clothes that radiate with celestial aura. And while her appearance as a whole is not changed much, this magical energy will bewitch anyone who gazes upon the girl in this state, making them unable to identify the girl unless she explicitly desires them to. Such things are of little use in combat, however. Thankfully, the transformation has an answer to that as well. For as long as the gate remains open, Leila's magical damage will increase by a full 70% across the board. Casting and re-casting the gate will create a celestial shockwave that travels up to 200 meters at the speed of 100 meters per second, inflicting 60 damage on contact. While that in itself is rather impressive, it is actually a required component to a half of the entire magic provided by Eden's Celestium. In order to cast any and all spells associated with Leila's gate, this spell has to be active! This, however, does not affect the other spirits the girl can summon in any way, shape, or form. It also appears that the outfit can change its appearance if Leila truly requires it. 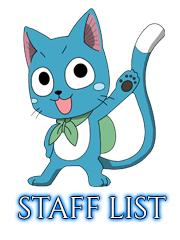 Indeed, it is a form befitting a powerful celestial spirit that has gone down a path of many different adventures so far. But what awaits her in the future? Will these new powers be of any use to her? She can only press on and see for herself, as that in itself is the greatest thrill of them all - the uncertainty and unknown of what is ahead of oneself. Easily the single most important spirit in the Gardens of Eden after Aurora and Leila themselves. Yuki does not only belong to the first generation of Eden spirits, but she is also, in fact, the very first and thus oldest among the residents of the Gardens. Despite that, she had retained a child-like appearance due to her restrictions on power. Though her personality is far from one of an actual child. When Aurora first created Gardens of Eden, it was but an empty world devoid of all life sentient life. Plants and trees were aplenty, yes. But those made for a poor company for the goddess. So in time, she created even more life, this time in her own image. And just like that, a small girl with animal-like features was born. And thus began the first generation of spirits in the new world, for, without Yuki herself, none of the other spirits would exist either. Aurora was capable of creating life, yes. But forming an actual sentient being took more effort than she thought it would. As such, she required some sort of medium for the later creations. Yuki became precisely that, as, through her, the goddess became able to give life to more and more spirits until there was the entire first generation. This came to a stop when Aurora's soul was split into two pieces and Leila Vergious was born. With only half of her soul, Aurora became incapable of creating more spirits and grew immobile in the core of the Gardens. Intrigued by the other half that became Leila, Yuki finally materialized her own key and gave it to the summoner. Though their relationship was quite rocky at first, forcing the dragon girl to question where her loyalty stands, the two managed to end up quite the good friends and members of one family, willing to protect one another. As the first spirit, Yuki is considered to be the strongest spirit in Eden itself right after Aurora and Leila. Though a portion of her power still lays sealed away, forcing on the child-like body and placing her in the same ranks as the rest of Eden's elite spirits. As one could guess from her title and name, her powers revolve around the manipulation of ice and frost. She is mostly a very mobile close-ranged fighter who delivers powerful blows faster than the enemy can defend and heal. She does not use a weapon of any kind, always relying on her bare fists and feet to down her foe. Her outfit does not provide much in the way of protection either but allows for great flexibility. 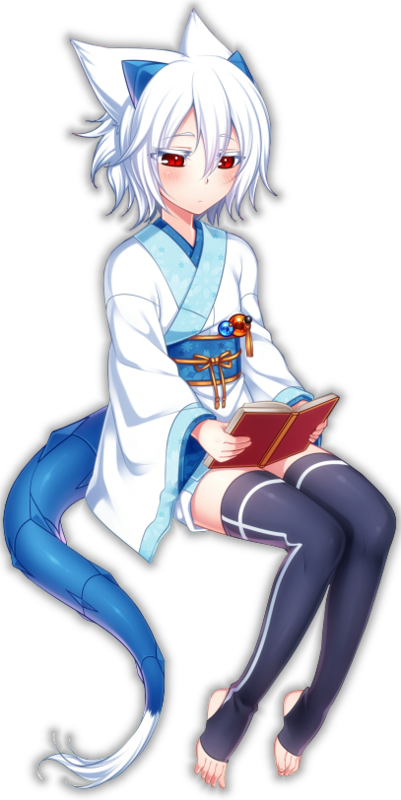 Usually dressed in nothing more than a white-colored short yukata and black thigh-highs, she does not even ever wear any footwear or hand protection. If there is one practical thing that the ice magic gives her, it's the immunity to feeling cold with this little clothing on. Her personality is yet another thing that greatly clashes with the girl's looks, as she wears completely expressionless poker face almost all the time, never allowing anyone to discover what she might be thinking. Her comments can be very sharp and harsh to anyone who is not from the Gardens of Eden and it is extremely difficult to get on her good side even with the help of Leila herself. But she is loyal beyond belief and will never abandon her master's side. Yuki's dominion within the Gardens is a cavern deep beneath the core of the world, one which is nearly completely frozen over with cold winds blowing through it at all times. Due to her element affinity, this naturally does not bother her in the slightest, though it makes it much harder for any other spirits to visit her. At the center of her dominion is a Cold core that supports the true core of Eden, regulating elemental magic and thus making the cave the second most important location within the Gardens. Whenever Yuki enters combat, her body starts emitting cold. Frozen wings appear behind her back, allowing for temporary flight. Light armor of ice also forms all over her body, making magical energy course through her body and increases her movement and reflex speed by 50% while also making her basic speed the same as Leila’s. This ability can be toggled on and off. Effect: Upon activation, Leila splits into two shadows that move straight toward the enemy, perpendicularly crossing throgh one another to form a spiral-like dash, damaging whoever makes physical contact with the two shadows. Upon reaching the maximal distance this attack can take her, the two shadows will once again merge together to reform Leila's physical body. The existence of Gardens of Eden was always shrouded in a mist of mystery for those who lived outside of the realm itself. A beautiful paradise-like land inhabited by spirits, all of which are maidens most fair. A world filled with magical energy that if controlled could bring anyone enough power to call themselves a God. Such were the snippets of fragmented information that could be discovered, scattered across rare books in the darkest of Earthland's corners. Some of them are very close to the truth, others not so much. But none of them even bear a mention about the creation of this realm, it's beginning. It is only natural, for that world is older than Earthland and Mankind itself. Forged by powerful magic in the Void, Aurora Solaris is the one who brought about this paradise and became it's Goddess. It is a shame that her story goes mostly unsung, only the spirits of the Garden being aware of it, as well as Leila herself. For it is a story filled with the strangest of sorrows and joys one could imagine. A story that began thousands, if not millions of years ago as magical energy started escaping from different worlds, into the Void between them. The process was long, but enough magical energy gathered for it to start resonating. And then, a consciousness was born. This was Aurora, a being of pure magical energy, living in the emptiness between the realms. As such anomaly, the girl was different from what humanity is now. While humanoid in shape, her being was entirely different. Simply content with existing, she had no emotions and existed in the void for an immeasurable amount of time without feeling anything at all, simply wandering. But one day, a demon approached her and the two struck a deal. This was the moment Aurora obtained the power required to grow an entire realm out of nothing but a single seed of magic. The deal with the demon had its negative consequences, of course. But from a different point of view, they might have even been positive. Aurora's soul was forced to split into many pieces, the biggest one remaining what it was as a whole - Aurora. But the second biggest piece became its own individual - Leila Vergious. Such was the birth of two sisters, beings from the Void, spirits that were called gods by those residing in the Gardens of Eden. And their story has finally led them to this very point. Once they were one, now they are two. Their paths might differ, yet they can feel the uncanny pull towards one another. The two are inseparable. They are the creators of the Gardens of Eden. 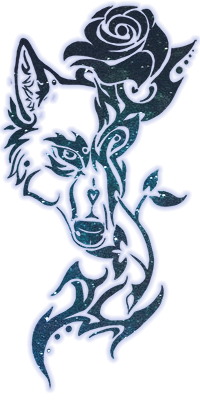 Libra, the most unique spirit in the hands of Leila Vergious. Not only is this because of her Zodiac status, but also the fact that she is an actual Celestial Spirit rather than one born in Eden. Despite that, this Zodiac spirit was in Leila's possession from nearly the very start, as the girl had found the golden key right after she learned of her ability to open celestial gates. As a spirit from the Celestial Realm, Libra has absolutely no set role in the Gardens of Eden but still chooses to spend a good deal of time in her master's world. Much like any proper celestial summoner, Leila has spent a long time forming a strong bond with her spirits, gaining affection toward them while they would also get more protective of her. 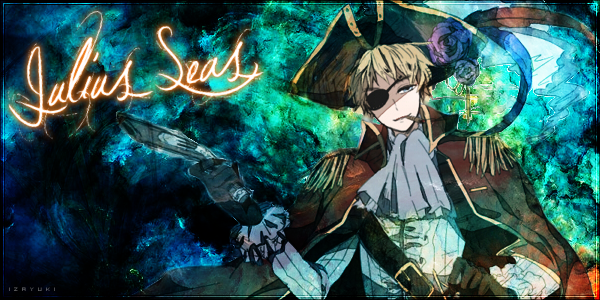 And Libra, who has been present pretty much from the very start, has raised up in these aspects greatly. 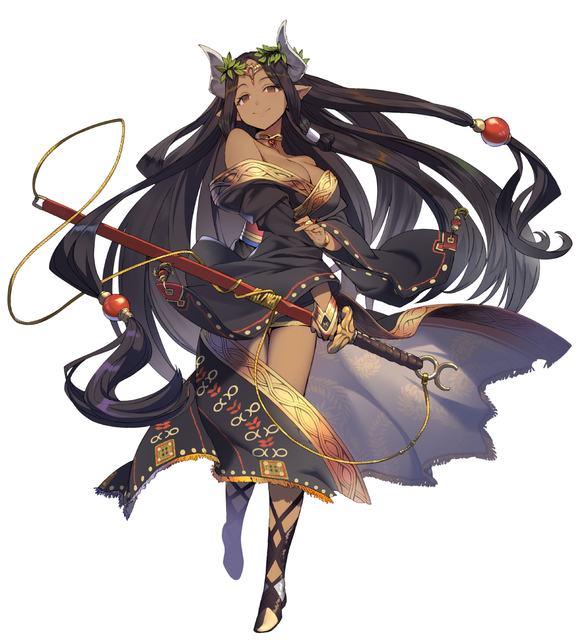 Due to her Zodiac status, she is also easily the strongest of Leila's spirits and can only be rivaled by Aurora herself, a goddess of Eden that cannot even be summoned by normal means. Her symbol is the Scales as she is the Zodiac of balance, one who stands at the border of peace and chaos. From this, her magic was born as absolute control over gravity itself, allowing her to keep it in check or unleash its chaos and end about the normal order everyone knows and enjoys if she so pleases. 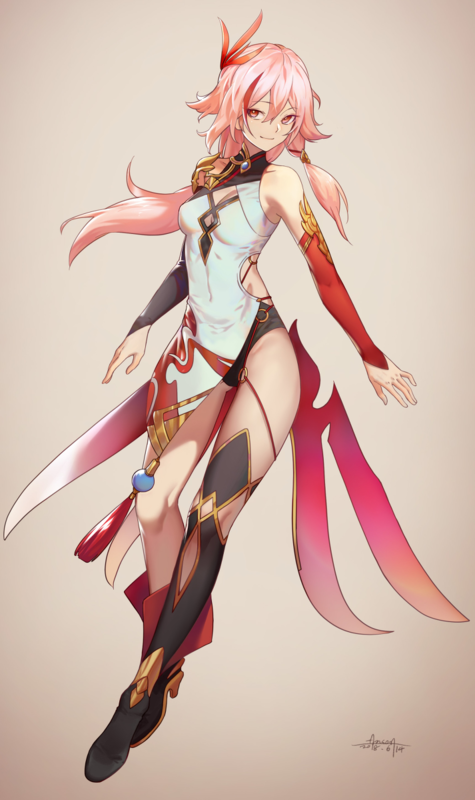 Her personality is one of a kind and mature woman, often looking after her summoner and ensuring her safety when she can, but also making certain that she does not get in the girl's way unless she is asked to do so. In combat, she usually stands back and performs her attacks from distance, though she is perfectly capable of being engaged in close range combat, as one could easily guess from her weapon of choice. As far as her human appearance goes, Zodiacs seem to change their looks based on their new owner to best fit the new master's preference. 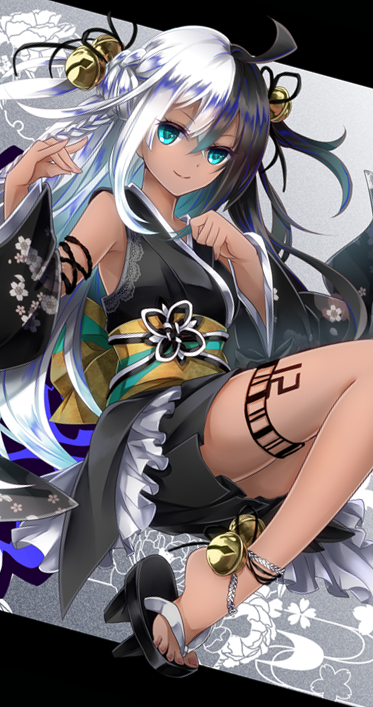 While this explains why mentions of these powerful spirits always seem to be a bit different in the recorded history, Leila always found it unlikely that she would have created a dark-skinned beauty with long raven hair, hazel eyes and wearing somewhat revealing black yukata. Though she had accepted this spirit's look and the two of them are now very closely tied together. Spell that can shift gravity partially or completely in a certain space or for a target. Once that is done, all unbound objects in 300 meters wide area will start moving towards the affected target at speed reaching up to 225 meters per second, damaging and restraining the target for a single post. The damage itself is caused by rubble being forced against the affected target, resulting in S-ranked spell damage. For as long as Libra is summoned, she can manipulate an area of 300 meters all around her. The gravity in this area will be adjusted depending on Leila's judgment, either slowing all enemies down by 60% or speeding up all allies by 60%. This ability is a toggle on/off, but there is a cooldown of a single post before the effect can be changed after taking place. As the Zodiac spirit that specializes in controlling gravitation, Libra has complete control over it. While she’s summoned, gravity in the area of 300 meters all around her is completely under her control. This allows her to extend her attacks via actions like shooting out waves of heavy gravity to extend her regular attacks when melee attacks are not a good idea or to extend attacks done by her katana the same way. It also allows Libra to move smaller objects in the controlled area in any way she desires at the speed of 225 meters per second, levitation and other. All offensive actions done this way do not add any extra damage and simply extend existing attacks done by the spirit. Releasing a wave of cold energy that extends up to 200 meters all around Yuki, she can partially cover her enemies in ice. Only the part of the enemy’s body that is facing Yuki at that point is actually frozen, however. If this ice-covered part of their bodies is attacked, the attack’s damage will be boosted by 50% unless the attack is fire based. If that’s the case, the ice will melt right away before the duration expires. Aria is a special Eden spirit of Second Generation. Despite coming after the first mighty four, she still grew powerful enough to hold her own against the likes of Yuki and Lisette, placing her among the elite spirits of Eden despite her young age and lesser experience with actual real combat. And despite her raw power, she does try her best to actually catch up to her peers by actively trying to nudge Leila toward summoning her and gathering all kinds of experiences in the Earthland whenever she can. Her place in the Gardens of Eden themselves is also somewhat strange. While there are more Eden spirits with not quite defined roles, they usually never manage to amass this much power. Aria was born in the breath of the Guardian tree that grows in the core of the Gardens, filling her every bit. Her skin grew darker as if trying to get closer to the dirt that forms Garden's soil. Her hair silver with a faint hint of gold, as if trying to mimic the vast fields of wheat, ready to be harvested. She became the will of Gaia, mother Earth that lives and breathes. Despite that, her personality seems to be far from mature at times, as she can be very childish and curious about the world as a freshly born babe. There is also little to no malice or anger lingering within the child, giving her the option to see the world through innocent eyes. This makes her into a playful character that can also serve as great moral support for anyone who might happen to be fighting by her side. Of course, she can get angry and take things seriously as well but tends to not do so until there is simply no other option available. Another thing that is unique about this spirit is her method of fighting. While most spirits have a certain weapon of choice or at least rely on their limbs to deal damage with, Aria completely relies on her own abilities that allow her to take control of just about anything. From outside, her powers can be seen as corruption that takes hold of everything around her, while in reality she simply returns and gives life to what came from the earth in the first place. It is a fighting style that also emphasizes the fact that she has a strategic mind and uses all around her to her advantage. Complimentary to her appearance, she wears a surprisingly little clothing-wise, but just enough to not appear indecent to the wide public. All important parts of her body are always covered with a black leotard. 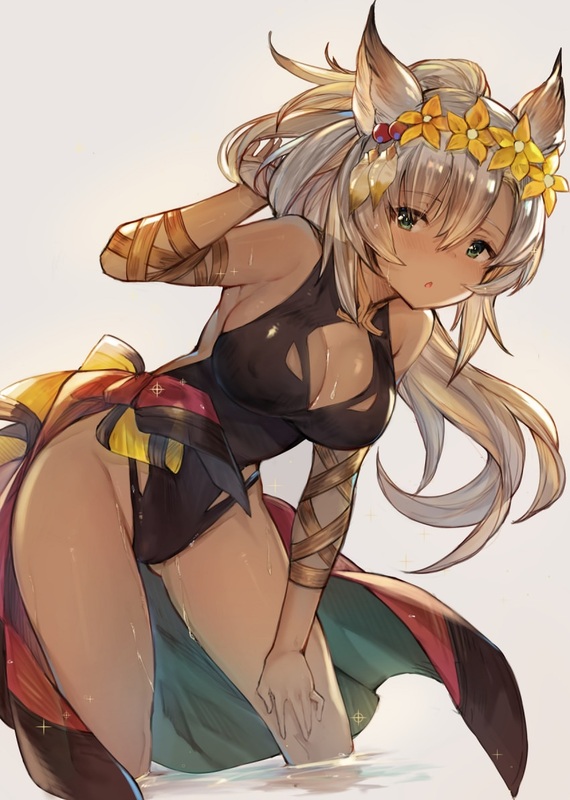 Around her waist, she also has tied a fairly long piece of fabric that can be used to cover up more of her body if the need ever arises. Much like Leila herself, Aria also possesses certain animal-like qualities such as fluffy ears, tail, and fangs. Her dominion is an old ruin at the very edge of the Gardens themselves. There was never a structure of stone that would be old and vast enough to produce this area, as the spirit of Gaia created it from the very first stone herself and simply for the fact that she adores such setting. The seemingly old area is just as old as the second generation of Eden spirits is, but the cold sone has long since been covered with moss and wildflowers started adorning the floors. In the depths of this dungeon, Aria remains and decorates the place until her services are required. Kneeling down and praying to Gaia, mother Earth, a field of beautiful flowers will grow and blossom all around Aria in the range of 200 meters. All of these flowers will let out a special magical pollen that carries healing properties, cleansing all allies of negative status effects caused by spells of lower rank than Aria and then applying healing over time to them, having everyone affected recover 50% of S-ranked damage for the next 5 posts until a total of 250% S-ranked damage is healed. she can send out a wave of energy into the area of 100 meters around her and infuse all non-magical objects and wildlife with her energy, bending it to her will. Like this, she can do anything from creating weapons out of mud to forming giants of stone. All creations of this kind will deal Aria's regular damage and act in the stead of her weapon. If a long-ranged creation is formed, it will shoot at the speed of 300 m/s. Member of the first generation who is often referred to as the horror of the Gardens, Lisette is a little bit different to the others spirits that can be found within the Gardens of Eden. When the Gardens were created, Earthland did not yet even exists. But after thousands of years passing, the world of humans came to be and said humans became interested in what was beyond the border of known, using magic to extend their reach and manipulate things that were previously outside of the realm of possibilities. One of the things they have discovered was Gardens of Eden, among other worlds. But Aurora's realm was different, for it could not be accessed through regular magic or magical devices as the worlds beyond Wakusei Portals. This lead certain mages to believe that the Gardens were filled with unbound powers they could use for their own ends. And they were correct. 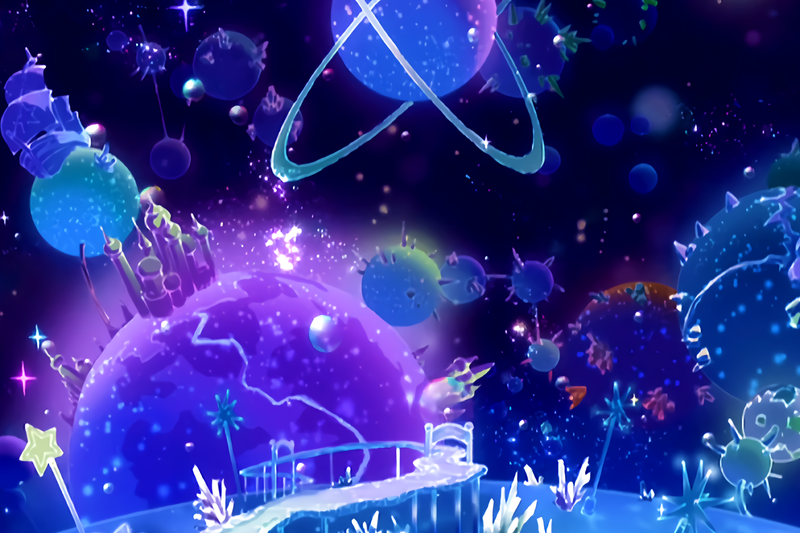 This unknown world was truly saturated with magic, but it was untouched by humans for a long time. And so, when the greedy ones tried to forcefully take pieces of Eden for themselves, the realm became partially corrupted. The spirits managed to eventually fight off all mages and ensure that all records about Gardens of Eden were lost, or at least most of them. But the corruption of Humanity remained and turned part of the Paradise into a withered forest that is slowly killing all which enters it. However, there is one spirit who got lost in this forest and did not die, but instead grew accustomed to it and made it her new home against common sense to avoid all that could corrupt and kill. That is Lisette, the corrupted spirit of the Gardens. She roams the sealed-off corrupted land, negative emotions ruling over her body and mind. Without a doubt one of the strongest spirits, but also the most aggressive one, Lisette almost never listens to Leila's orders and can easily break out of her control, doing whatever she wants. The fact she often thirsts for blood distances her even from the other spirit, as she remains the lurking horror everyone in the paradise fears. This is not aided at all by the fact that she chose a pair of golden scissors as her main weapons. Wielding one in each hand, she uses these sharp tools, not for their intended use, but to cut the flesh of her enemies and pierce their organs with swift jabs. When it comes down to combat, she is often swift and merciless, not hesitating one bit to slaughter her enemies in contrast to all the other spirits and even her summoner who avoids killing at all times. Her behavior is extremely aggressive and nearly unpredictable as well. For her outfit, she chooses a surprisingly combat-unfriendly beige dress with a corset to keep it more steady. Not that she really cares, as she is always willing to cut through her own clothes if they happen to be keeping her away from cutting down the enemy. If summoned along with other spirits, she might sometimes attack them as well, nearly always outright refusing to work with them to any capacity and going off alone to deal with things her own, much more bloody, way. 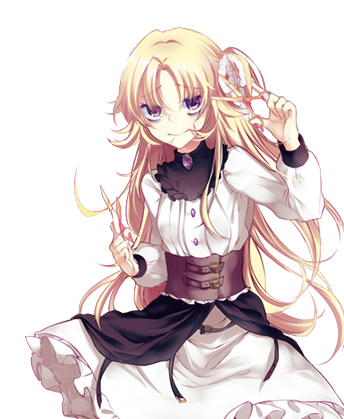 Lisette can perform a deep strike with her two pairs of scissors, making the enemy bleed. This spell is used on a regular melee attack that will then inflict damage over time along with the regular damage, bleeding the affected enemy for 50% of A-ranked damage for the 5 posts, eventually dealing a total of 250% S-ranked damage. Lisette is the mistress of mirrors, a reflection of dread that stares back. She can summon a mirror copy of herself once per post with the cap of two copies total that will fight along with her. These copies share the same HP bar with the original but will break completely if they receive more than 100 damage. Their attacks deal the same damage as the original and they can all use the original's active spell, though they all share the same cooldown as well. A first generation Eden spirit, Harpae is the one Leila has closest to an older sister. Always one who will care for her summoner's well being, and that both in and outside of combat, this mysterious beauty is the one who will always be around when the Eden's Caretaker needs a shoulder to lean on. And the fact she has been around from the very beginning of Eden's Celestium only deepens this bond. There is also something that makes this spirit much stronger than the rest, albeit not in the department of raw power. Harpae is the only spirit in Eden that has a permanent disability that actually affects her daily life - she is completely blind. Her eyes are dyed in a beautiful sky blue and reflect the life that is within her but can no longer tell her what she should see all around her. Despite this disadvantage, the girl had learned how to properly function in her day to day life, as well as in combat when she is helping her summoner or the other spirits. But this disability does play a large part in the girl's behavior. Due to her inability to see anything at all, she constantly feels that there is a need for her to outperform the rest in order to show that she is indeed capable of taking care of herself. No matter how kindly will one offer their help, she will always try to refuse and do everything by herself, even if it is at the expense of taking more time or consuming more energy. This is often to a fault and when anyone forces themselves in to help her, it will usually result in the girl's mood dropping greatly. Generally, she has her dirty blonde hair loose and adorned with a small blue ribbon. Despite being a spirit that can be summoned for battle, she wears a dress of white and matching blue that tightly embraces her slender body. Thankfully, her fighting style usually does not require to move too nimbly anyway. This is enforced by the fact that her weapon of choice is a magical bow she uses to damage enemies from a distance whenever she can. Despite being blind, she can still locate her targets through magical energy sensing as well as her other senses. The bow is also very reminiscent of an old legendary treasure of Eden, the Bow of Fated moon that Leila used on many occasions. But this is simply a mere coincidence in the weapon's appearances. Unlike the treasured weapon, this one is simple just a silver bow that does not possess any special abilities outside of being able to create magical arrows, which allows the spirit to fire at will without the need for keeping spare arrows on their person. Harpae's dominion is a seemingly old house that resides deep within the forests of Eden. While it appears rather unkept on the outside, the interior could not be any cleaner. There is one problem, however. As the girl is blind and does not rely on her sight, the entirety of the house is plunged in complete darkness, nearly all windows are either boarded up or obstructed by furniture. Only a handful of candles illuminates each room and hall, though their true purpose is for Harpae to recognize where the corners of each room are through her hearing alone. Harpae’s simple bow is reminiscent of an old treasure from Eden. Only Leila herself was ever capable of using the actual Bow of fated Moon. But its blessing can be bestowed on anyone who roams the Gardens. With a quiet prayer, Harpae will raise her weapon to the skies as a faint outline of the moon will appear above her, regardless of the time of day. Its light will bless her weapon and make it glow silver, enhancing its properties. Taking aim, several roots and vines will emerge from whichever platform Harpae is standing on, holding her in place for a single post as she charges up the shot. Several magical circles will appear in front of the arrow before it’s finally fired, speeding it up greatly. This makes the arrow fly at 150% of regular spells speed (337m/s) for a distance of 300 meters. The enemy hit by the arrow receives full A-ranked damage and is knocked out of balance. What once used to be Leila’s fusion with the Bow of fated Moon was now also adopted by the blind spirit. 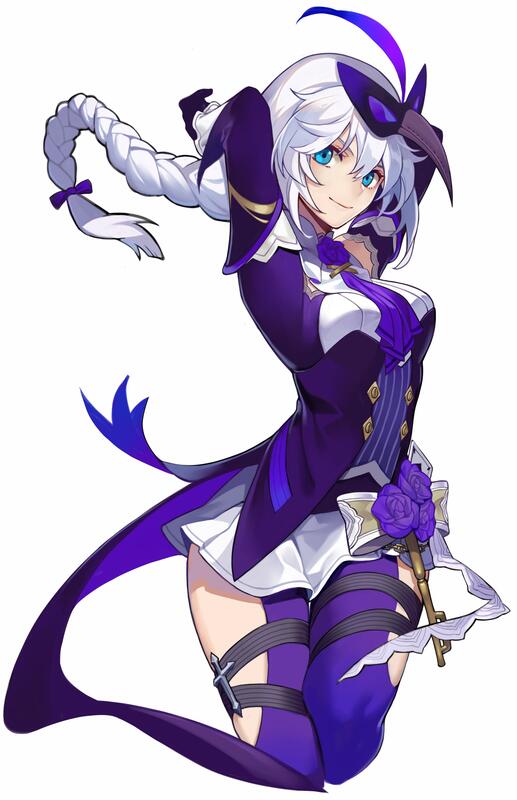 While her bow might not seem like much, she can infuse it with her own magical energy and connect it to Eden temporarily. With this, all enemies hit with its arrows will be suddenly rooted in place with vines, provided they are of a lower rank than Harpae herself. This movement restriction lasts 1 post only and can affect each enemy only once per thread. All spirits of Eden are created through the first spirit, Yuki, by Aurora or Leila. And there is truly no other spirit that could be so easily identified as Leila's creation like this one. Resembling a Harpy in appearance, Ignite was named after the summoner's ex-guild master's pet phoenix and is precisely that. A phoenix of the Gardens of Eden, Ignite's hands are transformed into giant feather-covered appendages as a golden flame surrounds her and gives her powers beyond the capabilities of normal spirits. Her skin dyed dark by the heat produced by the flames, even the rest of her body is covered in smaller and pleasant to touch feathers instead of regular clothes. A crown sits atop her golden hair, proclaiming her the queen of Phoenixes she was created to be, an eternal reminder that there was once a guild named Golden Phoenix. A family that Leila once had and that will forever remain in her heart and now is part of the Gardens, it will rise from ashes as many times as it will have to in order to continue on living. 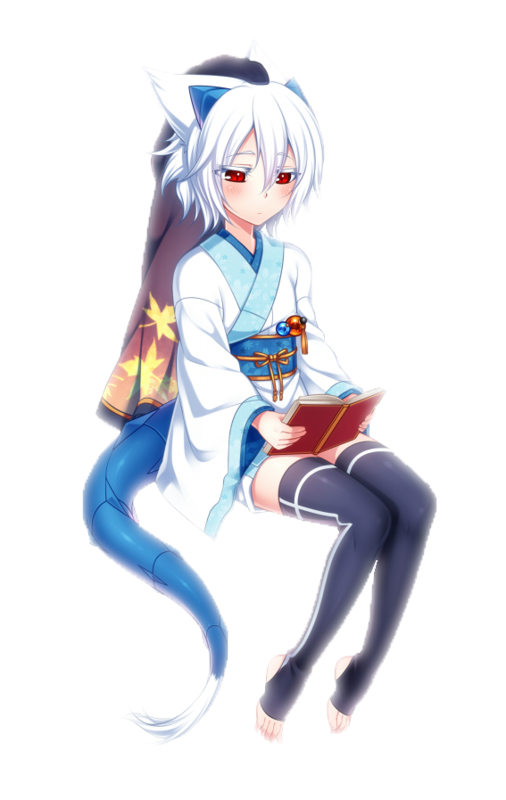 However, she is a little bit less developed than most Eden spirits in the spiritual area. Usually reacting very little to the outside stimuli, she has slight difficulties interacting with the world around her in any meaningful way. Like a child that has yet to learn all about proper behavior and discovery, she remains mostly passive if not given an order. She tends to stay very close to Leila at all times when summoned and will not let anyone she does not know to get anywhere near her summoner either. A protective nature she had developed right after creation. The phoenix's fighting style is also quite simple, as she seems to rely on her raw flaming power to reduce all enemies to ashes, or at least burn them enough to give up. Even when not engaged in active combat, she emits warmth and her entire body is heated up and very pleasant to touch. The flames that she seems to constantly create also only burn those she wishes to burn and will never hurt anyone she deems friendly, even if they directly touch them repeatedly. The unfortunate fact is that these flames also do not burn hot enough to cause damage in combat unless Ignite activates her spell to properly form them and use them to destroy the enemy. Her dominion lies atop the greatest mountain in the Gardens of Eden. There is not much of elevated ground, to begin with, but this one single point overlooks the entire world. If one can scale the great Phoenix Mountain of Eden, they will find a flat plateau covered in ashes and warm embers. In the middle, a giant Sun crystal that generates heat and light, a stone that the Phoenix forever guards. Ignite leaves this position only when she is called by Leila to action and shall not let anyone, even other spirits, touch the Sunstone without direct approval from the Caretaker of Eden. A lesser version of what was once a guild spell of the Golden Phoenix, a treasure-hunting guild. When activated, Ignite's flames will form five golden swords all around her that she can then launch. Only one sword can be thrown per post, but this allows them to travel a distance up to 225 meters at the speed of 165 m/s. When the sword hits, be it its target or the ground, a flaming pillar of 75 meters is formed around it that then deals 50% of A-ranked damage to anyone that touches it. If all five of these manage to hit, a total of 250% A-ranked damage can be dealt. When summoned, Ignite will constantly generate an aura all around her with the reach of 75 meters. Enemies in this zone will find themselves restricted, as they will be unable to take to the skies or even teleport unless they use a spell for this effect that is of a rank higher than Ignite herself. 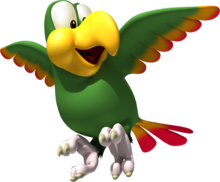 The spirit herself is also capable of passive flight with her wings at the same speed as her regular movement. One of the first generation spirits and at the same time, the weakest member of said generation. And like the rest of the first generation spirits, she does not truly resemble anything specific that could be found in the Gardens. Instead, she is a split image of Aurora and her childish side. 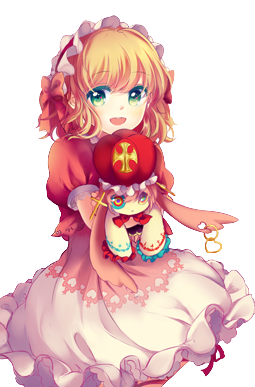 This can be observed in many aspects of Fleta, a girl that always carries a small doll with her wherever she goes. Above all, she calls herself Eden’s princess, as she is a leader of an entire pumpkin kingdom. 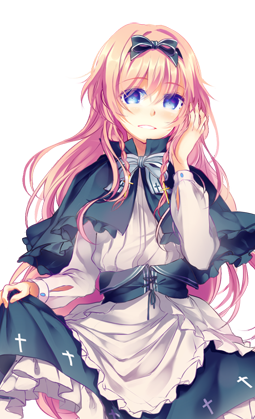 As far as her appearance goes, she is a very young girl with blond hair, deep green eyes and fair skin. She always wears dresses of some kind and almost always in the color scheme that uses red and pink colors. Even when summoned to the battlefield, she will refuse to wear anything else and insist that royalty has to be visually above the rest of society. That said, she is not exactly a combat-oriented spirit in the first place. A fact that is somewhat unusual for one of the very first spirits. Even after the ascension of the Gardens, Fleta’s power has not increased in any way, shape, or form. Her bossy nature and self-proclaimed royal title cause other spirits to generally avoid the spoiled little Fleta, though there are some capable of tolerating her and existing alongside her when summoned. She does not possess any weapons at all, but always carries with her a stuffed doll that she might use to defend herself from time to time. She also has no defined fighting strategy and desperately tries to flee whenever danger draws close. If she is somehow forced to engage an enemy, she will always start flailing madly in hopes to somehow come out of the struggle alive. Her dominion is a giant mansion in the west part of Eden’s forest and it’s immediate surrounding area. As the pumpkins she rules over and is capable of summoning are part of her spiritual form and ego, they are also ever-present in this part of the Gardens. It is perhaps due to this that the house she stays in could house several families without the slightest of problems. In her own style, the entire building is done in mostly pink and white colors adorned with only the cutest of items. Around the house lies a fairly big hedge maze where most of the pumpkins can be found, allegedly along with their pumpkin king. The entire world is Fleta’s kingdom! Or at least she wishes that it would be, but it really isn’t. Still, she is very much capable of teleporting Leila and her allies to any desired location. However, the process takes a post of preparation and cannot be performed during combat at all. If somehow, Fleta is hurt or otherwise interrupted during the preparation, the spell will also fail and enter cooldown. For as long as Fleta is summoned, random carved pumpkins will spawn all around the battlefield. Two pumpkins will be summoned per post and they’re capable of talking in an annoying, high-pitched voice. They’re incapable of attacking anything or anyone, but they can explode at will, leaving a stack of randomly colored smoke that will spread to 15 meters wide area. If they’re attacked, the same will happen automatically. The explosions deal no damage. A special type of celestial summoning magic that almost breaks the boundaries of summoning itself. With Star Dress, Leila gains the ability to summon one of her creatures in an unconventional form, essentially fusing together with the spirit. 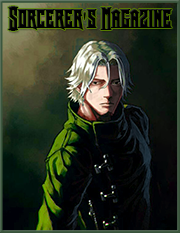 This results in the summoner altering their appearance slightly, mainly their clothes, to match the one of the spirit. 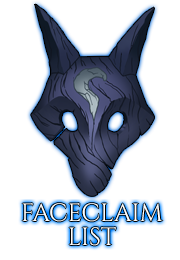 Once performed, the summoner will gain both the active and passive ability of the fused spirit. The entire process still costs the same amount of MP as if the spirit was summoned through normal means, but comes with the advantage of spirits summoned like this not counting towards the maximal number of summons on the field. However, only one such fusion can be performed at any one point in time. Over the years of being summoned into different worlds by their masters, the spirits of Celestial world and Gardens of Eden managed to adapt to the different environments. This doesn’t mean they would be capable of simply existing after being summoned, but they are capable of staying in the other worlds longer by using portion of their own power. Thanks to this, cost of all limit transcendence used to keep the spirits on the battlefield longer is cut in half and rounded to the nearest lower number if necessary. This ability extends to limit transcendence outside of this magic as well, as long as it's used to keep a summoned creature active rather than any other spell. This ability also makes it so that summoned creatures can stay in the world for as long as they want outside of combat without requiring any MP from the summoner. Description: Have you ever wondered how it would be if you could simply look at the night's sky, raise your hand and take a little bit of that beautiful painting for yourself? Leila can probably show you, as she learned how to freely manipulate celestial energy, which takes on the appearance of mist that looks exactly like the night's sky. While such energy is rather pretty to look at, it can be very dangerous if you get too close. Since this specific matter comes from the Gardens of Eden, only Leila can properly manipulate it, making it extremely toxic to anyone else. She can freely shape and mold this energy to whatever she wants, be it a weapon, piece of furniture or a direct attack. Range of this molding is 100 meters and maximum speed of the molded matter reaches up to 50 m/s. It’s damage always remains the same however, dealing S-ranked damage to anything that touches it. This damage can be dealt to each target only once per post and thus no matter how many times is one specific target hit at once, the damage will remain the same. Description: Fleta, the self proclaimed princess of the holy gardens. The only thing she truly rules over are sentient, talking pumpkins. She is a young looking girl, wearing fancy and frilly dresses. However, her attitude and personality does not match her appearance. She is a spoiled, stubborn and mean child who thinks she is better than everyone else. These traits can sometimes pose a problem, as she might refuse to actually do anything. Thankfully, her low ranking means that Leila can always force her into any action necessary. She has a small dagger that she can use to attack enemies if she ever gets close enough. Pumpkins can be annoying to allies as well, they’re completely unpredictable! Royal Envoy (Active) – The entire world is Fleta’s kingdom! Or at least she wishes that it would be, but it really isn’t. Still, she is very much capable of teleporting Leila and her allies to any desired location. However, the process takes a post of preparation and cannot be performed during combat at all. If, somehow, Fleta is hurt or otherwise interrupted during the preparation, the spell will also fail and enter cooldown. Pumpkin surprise (Passive) – For as long as Fleta is summoned, random carved pumpkins will spawn all around the battlefield. Two pumpkins will be summoned per post and they’re capable of talking in annoying, high-pitched voice. They’re incapable of attacking anything or anyone, but they can explode at will, leaving a stack of randomly colored smoke that will spread to 15 meters wide area. If they’re attacked, the same will happen automatically. The explosions deal no damage. Description: Harpae, the maiden of pristine, blue eyes. She is one of the most kind spirits, and also the one who desires to protect others the most. Her motherly nature brings comfort to her summoner and with her kindness and understanding, she can be a good company outside of battle as well. However, she had to pay terrible price to get position as one of Eden’s starts. Even though her eyes are of beautiful blue, there are no clear irises. For she had to give up her sight, making herself blind. She comes equipped with a bow that she uses to attack from distance. Her protective nature is perfect for a spirit that wants to protect her summoner. Exchange (active) – A simple teleportation spell that can exchange position of two different people or objects. This will work as long as the target for exchange is no further than 30 meters away from Harpae upon activation. When exchanged, each one will assume position and momentum of the other. Only objects or allies can be exchanged instantly, but when trying to swap positions with an enemy, they will first get surrounded by a whirlpool of magic that they have chance of dodging if their speed is greater than 30m/s. Also, if the enemy is at least two ranks higher than Harpae, they cannot be affected by this ability at all. Close bond (passive) Upon summoning, Harpae’s maximal HP will change to the exact number of Leila’s current HP. This applies in all situations and thus if Leila is harmed, Harpae’s HP will be lower than it could potentially be. This also becomes her cap on HP for the entirety of her being summoned, meaning that once it is done, it cannot be changed until her next summoning. 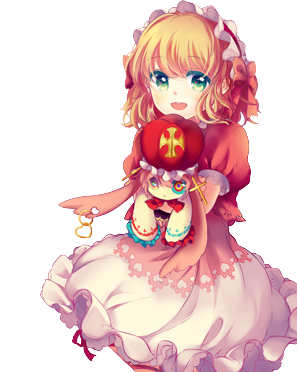 Description: Lisette is one of few spirits that actually walk the corrupted garden of Eden, instead of remaining in the holy part which is their proper home. She has no real home, even in the Gardens, and is by many other spirits considered completely evil. Her personality and emotions are unstable, making her a wild card. She is nearly completely insane and uses her golden scissors to attack anything that gets in her way. This makes her rather effective attack-based summon, unless she decides to attack her own summoner and her allies. She wield a pair of scissors, one in each hand and uses them to attack. 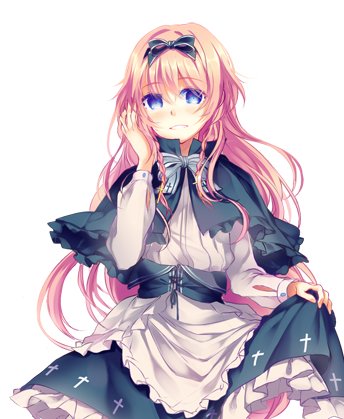 Slash of the broken world (active) – Consumed by hate and anger, Lisette became one the strongest spirits of the Gardens of Eden. And with this power, her slashes can cut down anything which actually exists. Every five posts, Lisette can use her scissors to cut down a single incoming attack that is A-rank or lower, completely countering it. Or she can use this ability to directly attack an enemy, dealing 175% spell damage. This ability comes with a cost, however. As the powerful attacks put a lot of stress on her body, she will also lose HP equal to ¾ of the base damage she will deal. This damage is dealt to her even if she uses this ability to cut down a spell. 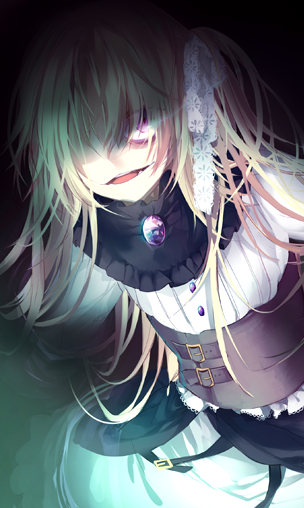 Spite (passive) – With her chaotic and aggressive nature, Lisette’s attack is much higher than attack of all other spirit’s. Instead of doing regular spirit melee damage, all damage Lisette does is increased by 50%, also making her receive 50% damage from all attacks directed at her. Description: A very special spirit, even among the Gardens of Eden. 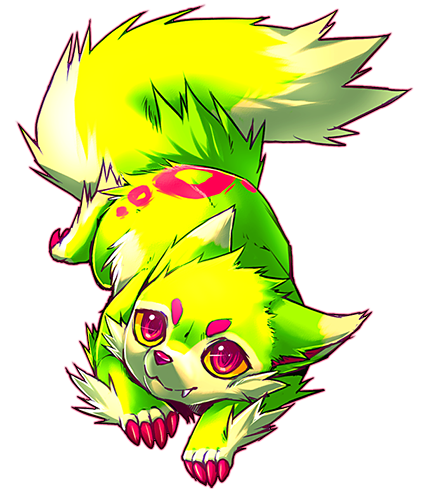 Yuki is what is called 'the first child', a very first being created by the goddess Aurora to roam her world. 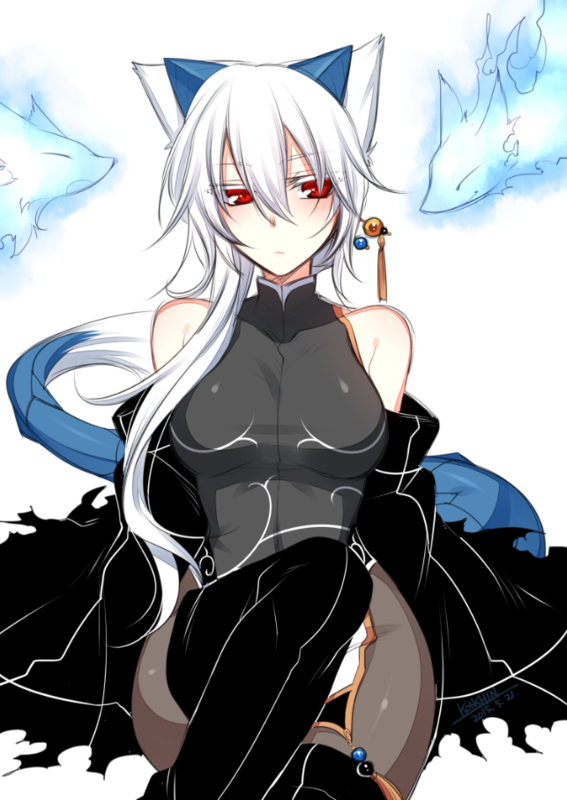 She directly created from the goddess' body and power, thus granting this spirit a great deal of combat prowess. As the first child, she was to act as the goddess' guardian and right hand. However, the goddess fell and thus Yuki had to become guardian of Leila instead. Now, even though Aurora came back, the ice dragon spirit continues on serving both of the equally. Unlike others spirits, Yuki fights using only her bare arms and legs. Frozen Nova (active) – Releasing a wave of cold energy that extends up to 75 meters all around Yuki, she can partially cover her enemies in ice. Only the part of the enemy’s body that is facing Yuki at that point is actually frozen, however. If this ice-covered part of their bodies is attacked, the attack’s damage will be boosted by 50% unless the attack is fire based. If that’s the case, the ice will melt right away before the duration expires. Dragon's frozen armor (passive) – Whenever Yuki enters combat, her body starts emitting cold. A frozen wings appear behind her back, allowing for temporary flight. Light armor of ice also forms all over her body, making magical energy coarse through her body and icreases her movement and reflex speed by 50% while also making her basic speed the same as Leila’s. Description: After a certain incident with her summoner, Libra took it as her duty to better herself both in and outside of battle. Now she is no longer the quiet spirit she once was. Instead she became a mature and socially friendly woman who learned how to fight with a sword. She is also in a possession of small golden shield that is always on her back. However, this shield cannot actually be used to block any damage and is instead used for attacking or movement support along with other spells that are in Libra’s arsenal. Core creation (active) – Spell that can shift gravity partially or completely in a certain space or for a target. Once that is done, all unbound objects in 100 meters wide area will start moving towards the affected target at speed reaching up to 50 meters per second, damaging and restraining the target if they are of the same or lower rank than Libra, sometimes even completely encasing them in rubble and earth. If the target is one rank above Libra, their speed is simply reduced in half, and if they are two or more ranks above her, they are not affected at all. Damage itself changes on the number of hits from other objects on the target, but can never be greater than 150% of spell damage on Leila’s current rank. Lowest damage possible is 100% of spell damage. Heavy air (passive) – For as long as Libra is summoned, an area of 100 meters all around her constantly searches for present enemies. And when they’re detected, gravity that affects them is heavily increased. This slows them down and cuts their speed in half unless they’re at least two ranks above Libra. This field gets temporarily disabled every time it’s needed, like when the enemy has to be lifted from the ground in order to perform certain attacks. If the target is one rank higher than Libra, their speed will be lowered by 25% and if they’re two ranks above Libra, they won’t be affected at all. Absolute gravity control (passive) – As the Zodiac spirit that specializes in controlling gravitation, libra has a complete control over it. While she’s summoned, gravity in the area of 100 meters all around her is completely under her control. This allows her to extend her attacks via actions like shooting out waves of heavy gravity to extend her regular attacks when melee attacks are not a good idea or to extend attacks done by her katana the same way. It also allows Libra to move smaller objects in the controlled area in any way she desires at the speed of 50 meters per second, levitation and other. All offensive actions done this way do not add any extra damage and simply extend existing attacks done by the spirit.